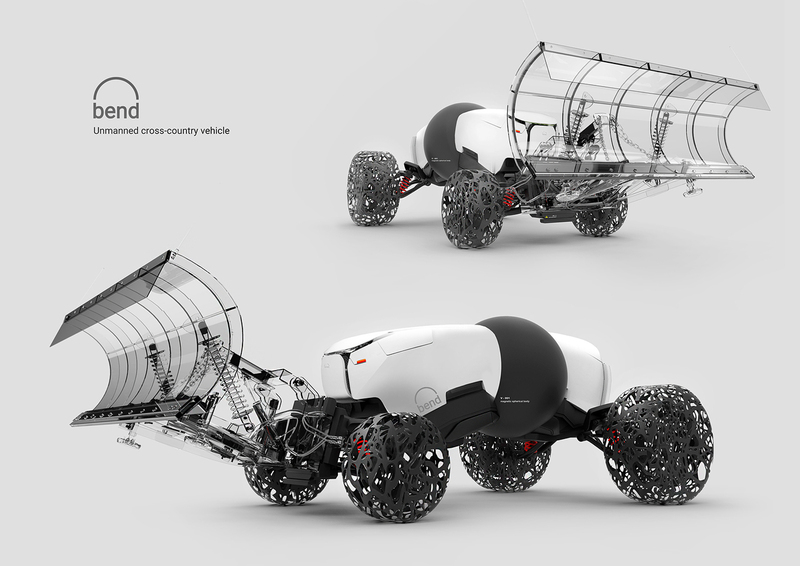 The Bend Unmanned Cross-country vehicle by industrial designer Maya Prokhorova looks remarkable for quite a few reasons. 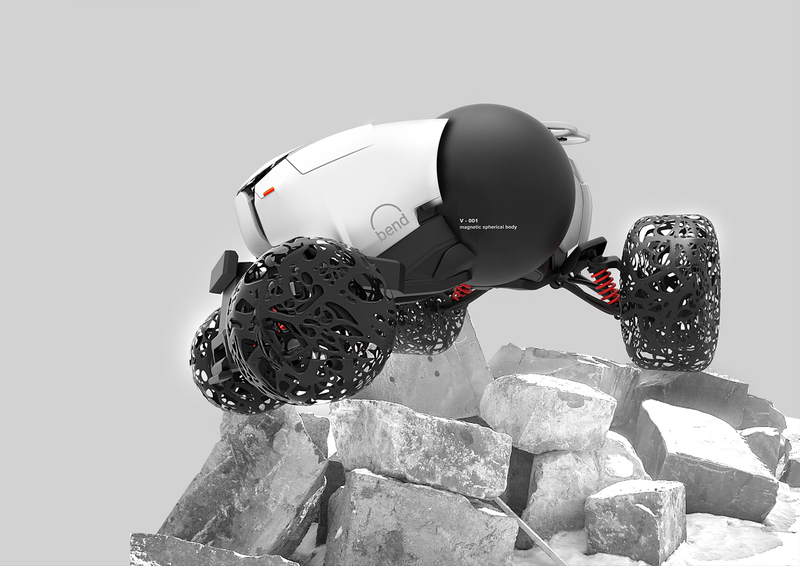 Its tires are made from scrap metal and are modeled in a manner that feels almost like a combination of Michelin’s 3D printed tires and NASA’s chainlink tires. The hollow metallic construction makes the wheel less susceptible to puncturing, while the organic design makes it look rather unique. 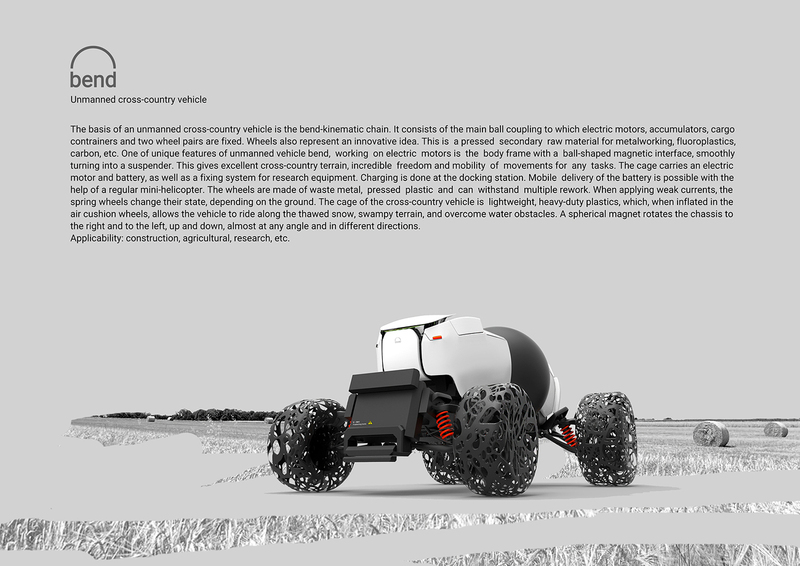 Made from scrap metal, the wheels are easy to replace and repair.The next interesting thing is its form. 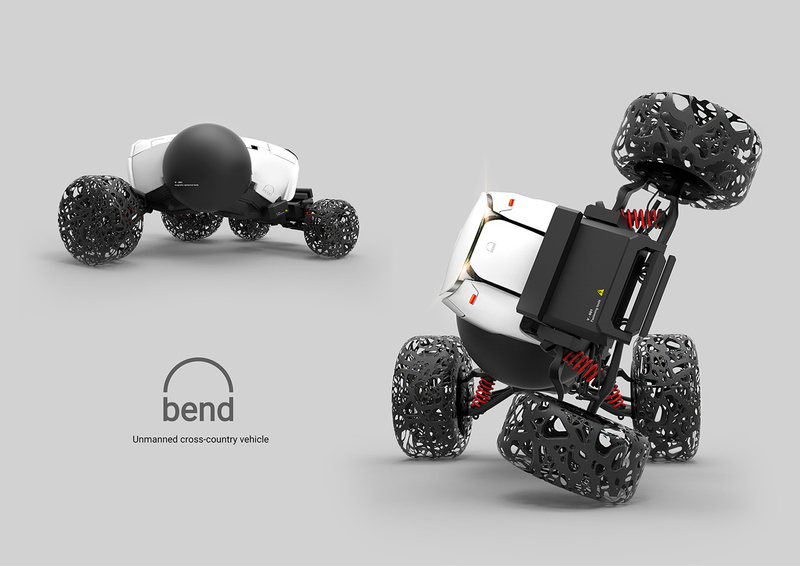 Designed as a massive magnetic ball-socket joint, the Bend can literally twist and contort itself to work around any sort of terrain. 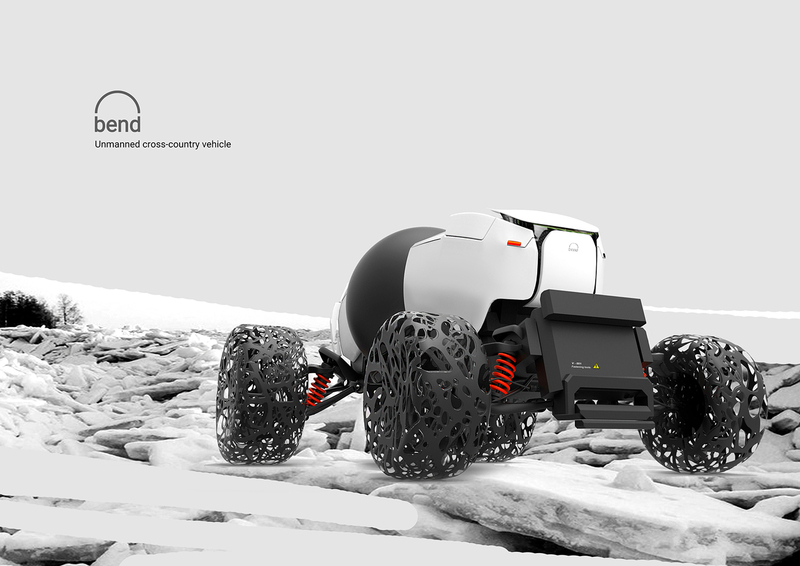 Designed for applications in construction, research, and agriculture, the Bend works unmanned, and can be modified to suit its application. It runs on a battery that may need replacing from time to time. The designer proposes a drone-based battery replacement system. And also you can check other superior concept cars: 15 Best Concept Cars of Largest Automakers.